As we enter into the summer months of 2018, the NAB International Office is journeying through times of transition and change. With Norm Poehlke’s resignation, which takes effect at the end of this month, we have been seeking the leading of the Spirit regarding next steps. We believe deeply that the NAB should be deliberate and intentional in a search process for the individual who will fill this critical role, so it is likely this search might take twelve months or more. With this in mind, we believe that hiring a qualified person to oversee our international missions ministries in the interim is critical. God has been good to lead us to Rev. Kerry Bender to fill this interim role. Kerry was born and raised in Venturia, North Dakota. Growing up, he was part of Venturia Baptist Church. In college, he was the youth pastor at Temple Baptist Church in Jamestown, North Dakota. 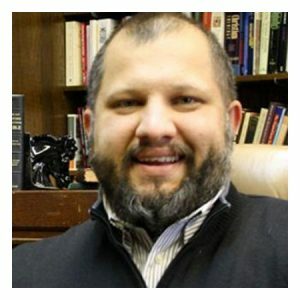 He has a master of divinity from Gordon–Conwell Theological Seminary and a master of theology from The University of Edinburgh. After obtaining his formal theological education, he pastored Faith Baptist Church in Minneapolis, Minnesota, for just under twelve years. He did phenomenal ministry there; led trips to our NAB missionaries in Brazil, Cameroon, and Japan; and connected with a number of former NAB missionaries who were members of that congregation to develop a really healthy church that truly loves and supports NAB missionaries. He was involved in association leadership and has been very active at the NAB camp in the region. Kerry is currently completing his PhD work through London School of Theology. He and his wife, Stacy, have two grown children who just graduated from Baylor University this spring. Kerry and Stacy are available to move to California and help the NAB care for our missionaries, connect with churches about global missions, and assist with executive-level functions on the leadership team. I’m thrilled that God has allowed us to find a man of character and skills like Kerry for this interim period. As we move into this interim period, the leadership team has also decided to restructure the Ministry Outreach Department into the International Missions Department, allowing it to focus on global missionaries and projects. In addition to changes in our International Missions Department, we are also thrilled to announce that Stu Streeter will move into a full-time position at the International Office. He will continue to oversee the work of the Ministry Advancement Department, which focuses on fundraising and communication, but will also add the oversight of church planting to his portfolio. As many of you know, Stu has a rich passion for church multiplication and church planting. 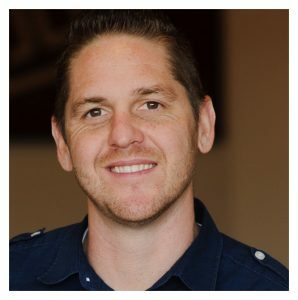 We believe that God is calling us as a conference of churches to reignite a passion for church planting in each of our associations, and we are confident that Stu’s experience as a church planter and connections with church planting networks in North America will provide us the needed stimulus to push forward. Please continue to pray for our conference of churches and the leadership of the International Office as we seek God’s face and follow His direction into the paths where He is leading.